The Crown's Fate was just okay compared to the first book, The Crown's Game. The romantic angst bothered me to no end in this book and it really drew me away from the part that I liked, POLITICAL REVOLUTION! While the first book lacked in action, yet was still totally absorbing, The Crown's Fate felt like it had more action, but I just couldn't get into it. Everything felt disjointed and I found myself not caring. The ending was a bit rushed but I liked what the ending was. While this one wasn't as enjoyable, I still like the duology as a whole and I am looking forward to reading more from Evelyn Skye. 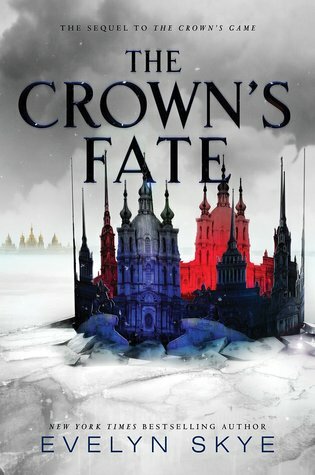 Sign into Goodreads to see if any of your friends have read The Crown's Fate.